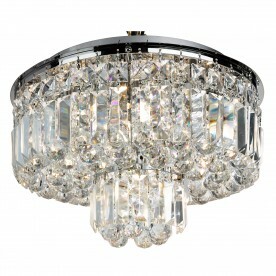 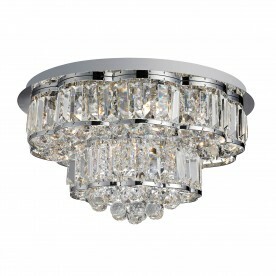 This Hayley Chrome 6 Light Ceiling Fitting with Clear Crystal Drops is unmistakably bold and stylish. 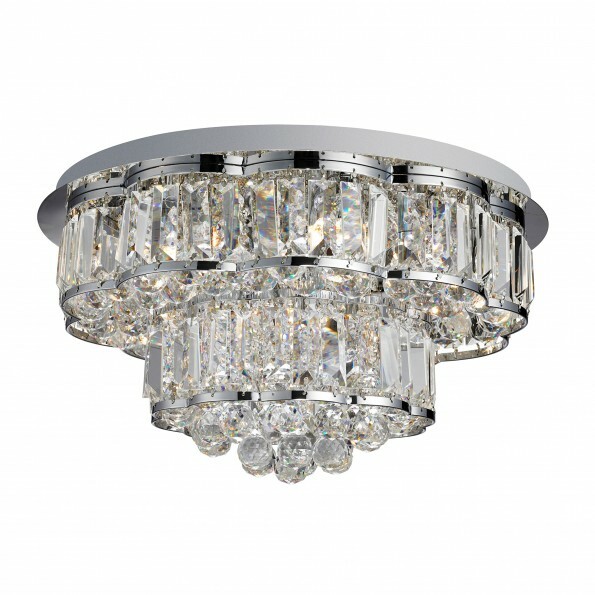 The circular fitting fits flush to the ceiling and it is adorned with crystal coffin drops, which hang from the stylish chrome finish frame across two different levels. 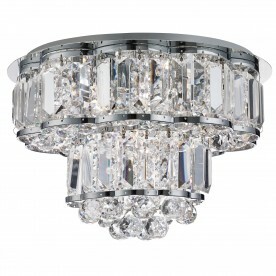 The clear crystal ball drops in the centre of the fitting reflect the six lights beautifully for a glamourous elegance that will making a magnificent centre piece to any living space or hallway.